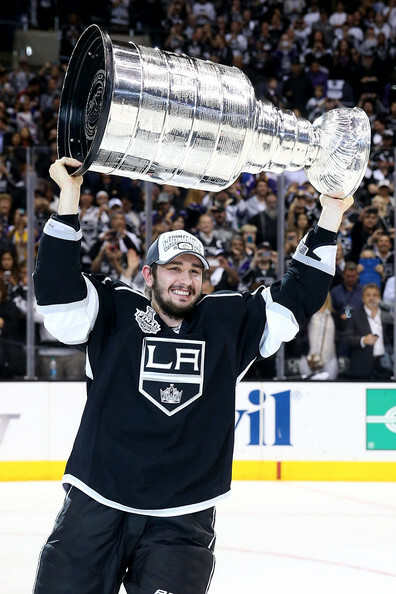 Slava Voynov in happier times. Having learned from his NFL counterpart’s mistakes, NHL commissioner Gary Bettman has suspended Los Angeles Kings defenseman Slava Voynov for an undetermined amount of time due to allegations of domestic violence. Voynov will be paid during the period of the criminal investigation. He’s in the second year of a six-year, $24MM contract extension signed in June, 2013. The 24-year old defenseman was a fourth round draft choince in 2008 and is in his fourth year with the Kings. He was arrested at 3:45 am on Monday by Redondo Beach (CA) police. Several media outlets are reporting that the woman allegedly abused by Voynov was hospitalized due to the injuries she received. The woman, who said she was in a relationship with Voynov, was being treated in the emergency room of the Little Company of Mary Hospital in Torrence, CA when the staff called the police. Voynov accompanied the woman to the hospital where he was subsequently arrested. The police had received a call on their business line earlier in the evening with reports of a woman screaming and crying, but the caller could not provide an address. NHL Free Agency: Which Signings Will Have the Most Impact? Dan Boyle and the New York Rangers: After losing Benoit Pouloit and Anton Stralman to free agency, the Rangers had some holes to fill. Not having much cash to work with, GM Glen Sather made some shrewd moves, signing veteran defenseman Dan Boyle to a two-year, $9 million contract. The 38-year old provides a veteran presence and experience. The defenseman made it to the Stanley Cup Finals in 2004 and won gold in the 2010 Olympics with Team Canada. Boyle can provide offense for the Blueshirts, as well – the ex-Shark scored 12 goals in 75 games last year with San Jose. In signing Boyle, the Rangers acquired a top defenseman for a low price, allowing the team to also sign Tanner Glass and resign Dominic Moore. Jarome Iginla and the Colorado Avalanche: In order to follow up its impressive turn-around season and playoff push during the 2013-14 season, the Avalanche knew a top player would be needed if the team was to continue to be a contender. Losing Paul Statsny to the Blues was not a step in the right direction for the Avs. Signing Jarome Iginla to a three-year, $16 million contract was. One of the younger teams in the NHL, the Avalanche are definitely going to benefit from having the veteran added to the roster. The former Boston Bruin is undoubtedly a top six forward for Colorado and will provide the team with extra offense. 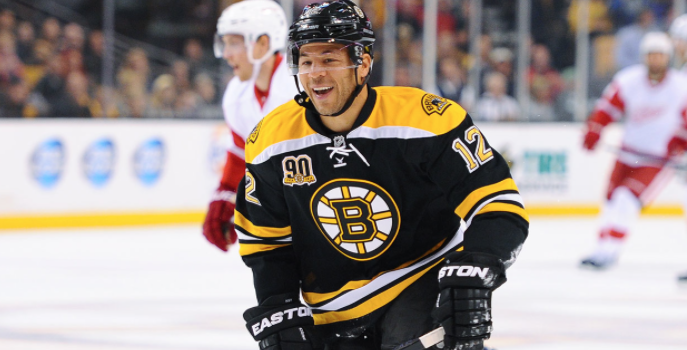 In 78 games last year with Boston, Iginla posted 30 goals and 61 points. The 37-year old doesn’t look to be slowing down, either, and should become a solid part of Colorado’s lineup over the next few years. Mike Camallerri and the New Jersey Devils: The New Jersey Devils desperately needed to make a big move this offseason and acquire a player or two to provide some much-needed offense. GM Lou Lamoriello did just that, inking ex-Calgary Flame Mike Camallerri to a five year deal worth $25 million. The 11-year NHL veteran scored 26 goals in 63 games last year with the Flames and has consistently been a 20-plus goal scorer. The Devils had tried on two other previous occasions to acquire Camallerri, and finally did so on the first day of free agency. The 32-year old said that he was most looking forward to having the chance to play alongside superstar Jaromir Jagr.1 The Devils also added Martin Havlat, hoping the two new acquisitions will be able to boost the team’s lackluster offense from the previous season. Matt Niskanen, Brooks Orpik, and the Washington Capitals: After a less-than ideal finish to the 2013-14 season, the Caps had some serious work to do this offseason. The organization started by hiring former Nashville Predators coach Barry Trotz in hopes that he could provide some wisdom for the defensively-challenged team. Washington, home to NHL superstar Alex Ovechkin, didn’t have a problem scoring goals. Defense, on the other hand, was a challenge. GM Brian MacLellan added some depth by signing Penguins’ defensemen Matt Niskanen and Brooks Orpik to massive contracts. Niskanen was signed for seven years and $40.25 million, while Orpik got five years and $27.5 million. Although these signings will definitely reinforce Washington’s defensive depth, they are considered to be the worst deals of free agency thus far by many. Orpik, who is already 33 years old, has been injured often throughout the past few seasons and may not provide the consistency the Caps need. The contracts also take up a sizable amount of cap space. Ryan Miller and the Vancouver Canucks: The Vancouver Canucks added some talent in goal Tuesday by signing two-time Olympian Ryan Miller to a 3-year, $18 million contract. The 33-year old will bring his experience and work ethic to Vancouver and it’s the hope of GM Jim Benning that Miller will become a good role model for many of the team’s younger players.2 Miller, who has reached 30-plus wins seven times, is without a doubt an improvement for the Canucks. Brad Richards and the Chicago Blackhawks: The Hawks started free agency already over the cap limit, but still needed to make a move to remain competitive in the Central Division. This goal was accomplished by signing veteran Brad Richards to a one year, $2 million contract. Richards, who scored 20 goals last year with the Rangers, will no doubt add offensive talent to the Blackhawks. For this bargain, the Hawks also get a number two center who could possibly play alongside Patrick Kane. Although this isn’t a massive deal, it’s exactly what Chicago needed to do. Thomas Vanek and the Minnesota Wild: It was the deal everyone knew would eventually happen: the Wild finally acquired Minnesota native Thomas Vanek on Tuesday, signing him to a three-year, $19.5 million contract. The 30-year old will replace the holes left by the departure of Dany Heatley and Matt Moulson. Vanek, who played college hockey at the University of Minnesota, should help to fix the Wild’s goal-scoring problem. The former Montreal Canadien scored 27 goals and had 41 assists in 78 games last year. It’s that ability that GM Craig Leopold is counting on to make the Wild a legitimate Stanley Cup contender next year. Ryan Callahan, Brian Boyle, Anton Stralman and the Tampa Bay Lightning: The former New York Rangers captain Ryan Callahan gave the Tampa Bay Lightning some inside information on Brian Boyle and Anton Stralman and quite possibly provided an incentive for the two other ex-Rangers to head to the Bolts. The trio played together in New York for parts of three years, so a Tampa reunion was not out of the question. Stralman signed for five years, $22.5 million; Boyle signed for three years, $6 million. The Lightning moved Nate Thompson and Teddy Purcell in order to make enough room for the two new contracts, so the big question is whether the addition of Boyle and Stralman will make Tampa better or worse. Free agency is far from over and signings will continue to occur throughout the summer, but the biggest names are already off the market. Now all there is to do is wait three months to see how the moves will work out when the 2014-15 season begins. The 2014 NHL draft is upon us ( 7 pm EDT). And while this year’s group of prospects may not look as dynamic or exciting as last year’s crop, this annual event always seems to have an impact in some way. 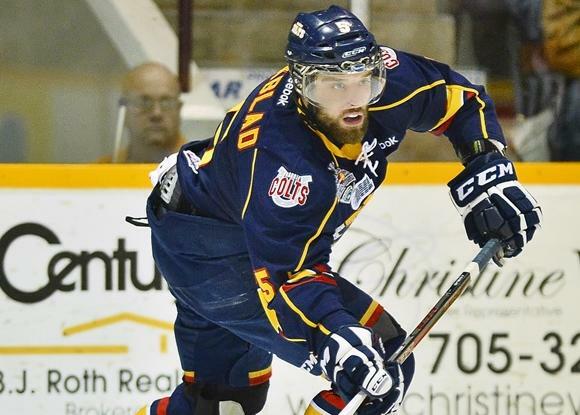 These prospects now have the chance to change the 2014-2015 season for their new teams. Take the Avalanche’s Nathan MacKinnon, for example. MacKinnon, who was the first overall pick last year, provided a huge presence for Colorado this year, and won the Calder Trophy in the process. While this is the goal of all draft prospects, only a few succeed in truly having a dramatically positive effect. This year’s draft prospects are not projected to have this same sort of influence. “I don’t recall a year recently when there were as many question marks.” an NHL scout recently commented on this year’s prospects. “Skilled kids who lack size; players who might have issues with attitude or commitment. It seems to be a really volatile draft.” 1 Nonetheless, these top prospect like Samuel Bennett, Aaron Ekblad, and Sam Reinhart who are expected to go near the top of the draft, are still projected to provide some kind of an impact. 9. Haydn Fleury: Considered the second-best defenseman available in this year’s draft, Fleury is quite the package. The 6’3″, 201 lb. Canadian possesses size, speed, and good hockey sense. However, unlike defenseman Aaron Ekblad, Fleury doesn’t display the same offensive knack. Although he scored 46 points last year in the WHL, Fleury lacks offensive explosiveness. 8: Nikolaj Ehlers: A speedy player with good puck-handling skills, Ehlers would provide any team with some explosive offense. The Dane scored over 100 points while playing in Halifax, however, he played alongside Jonathan Drouin, who was also a very talented goal scorer. This leads one to wonder whether Ehlers has goal-scoaring talent, or he just had an extremely talented line mate. Ehlers’ size is also somewhat of a concern. At 5’11”, 162 lbs, he may end up getting pushed around in the NHL. 6: Nick Ritchie: This big forward possesses both formidable size and scoring talent. Ritchie scored 39 goals for the Peterborough Petes, showing his goal-scoring talent. On top of that, Ritchie isn’t afraid to throw his weight around. At 6’3″, 236 pounds, this combination of size and offensive talent lands Ritchie at number six on the list. 5: Leon Draisaitl: Draisaitl appears to be the total package; he has size, speed, and he has been a consistent goal scorer. Nicknamed “The German Gretzky,” Draisaitl is set to become the highest-drafted German player. This center for the Prince Albert Raiders scored 38 goals in 64 games during the 2013-14 season, and he doesn’t appear to be slowing down offensively. Yet, he has been said to lack hockey instincts and therefore he likely won’t be draft higher than number five. 3: Sam Reinhardt: Reinhardt has intelligence on the ice and the ability to handle the puck, yet his size is nothing extraordinary and his speed has caused him to be described as “barely an average skater.” However, it’s possible for his smart play and exceptional puck-handling to make up for his lack of speed and size. With a little more time to develop, Reinhardt has the potential to develop into a solid NHL forward. Teemu Selanne had a Hall of Fame NHL career he’ll now reflect back on. On May 16, 2014, the Teemu Selanne era came to an end when the Anaheim Ducks fell in an emotional Game 7 to the Los Angeles Kings, 6-2. Although the Kings had just won a spot in the NHL Western Conference semi-finals, the end of Selanne’s career took everyone’s attention over the King’s victory. After the end of the game, the Kings and Ducks players stayed on the ice and tapped their sticks in a salute to Selanne as he said his final farewell to the Anaheim crowd. While the 43-year old fell short of winning a second Stanley Cup, Selanne by no means fell short of putting together an impressive NHL career. The sure-fire future Hall of Famer began his career playing for the Finnish junior league team, Jokerit. After spending three years in the development program, Selanne ended his junior career in 1987-1988 with a junior-A championship and an impressive 43 goals and 66 points in 33 games. 1 His notable performance sparked the interest of the Winnipeg Jets, who then selected Selanne tenth overall, in the 1988 NHL amateur draft. After being drafted, Selanne continued playing in Finland with SM-Liiga until he was signed to a North American contract with the Jets in 1992. From there, he began an incredible twenty-one year NHL career. He played his first NHL game on October 6, 1992 against the Detroit Red Wings. Nicknamed the “Finnish Flash” because of his speed and agility, Selanne quickly proved himself in his first few games in the NHL. The rookie collected his first career hat trick just five games into his professional career. He went on to score 76 goals, including four hat tricks and one four-goal game. 2 Selanne broke the National Hockey League record for most goals scored by a rookie, earning himself the Calder Memorial Trophy as the top freshman in the NHL. He was also a first-time All-Star, and was chosen for the All-Star team another nine times over the course of his career. Though Winnipeg lost in the first round of the playoffs, Selanne collected six points in six games. He maintained consistent play throughout the next three years with the Jets, reaching 100 career goals in 1994, in only 130 NHL games. Only the New York Islanders’ Mike Bossy was faster to reach that milestone. Unfortunately, after that feat was accomplished, Selanne tore his Achilles tendon and was forced to sit out the last 33 games of the 1994 season. He finished with just 25 goals on the season. The 1994-1995 NHL lockout the following year caused Selanne to return back to his native Finland for half a season, where he played for Jokerit Helsinki-Finland and was named tournament All-Star when the team won the 1995 European Cup. Once the lockout ended, Selanne returned to the Jets, but was traded halfway through the season to the Anaheim Mighty Ducks. Upon hearing of the trade, Selanne was apparently furious. According to the Seattle Times, he stormed out of practice and ripped the nameplate off from above his locker. He left Winnipeg Arena without talking to reporters. 3 Although it took time to adjust to the trade, Selanne later said that it was the best thing to happen to his career. At the 2000-2001 trade deadline, Selanne was sent to the San Jose Sharks for two players and a draft choice. He fell just short of 30 goals the next two seasons and left the west coast for a free agent deal with the Colorado Avalanche. The 33-year old struggled for the better part of the season, scoring only 16 goals (and 16 assists) in 78 games. After failing to win a Cup in Colorado and being placed on the fourth line for most of the season, Selanne took the 2004-2005 lockout year off from hockey to recover and then came back with the Ducks for the 2005-2006 season. A revitalized Selanne scored 40 or more goals for two straight seasons and notched his 1,000th career point. He also joined Jari Kurri as the only Finnish-born players to score 500 goals, when he accomplished that feat in 2006. Selanne than took part in what every NHL player dreams of: a Stanley Cup championship. The 2007 Ducks defeated the Ottawa Senators for the franchise’s first title. 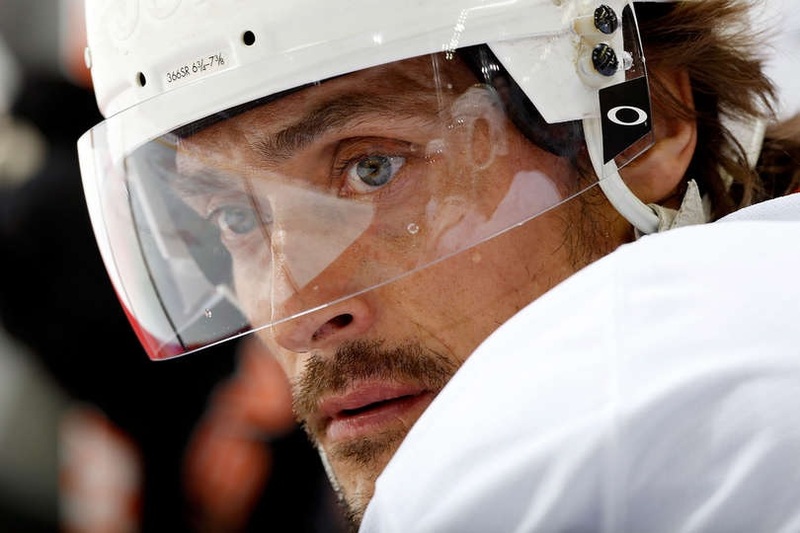 After 14 seasons and a Stanley Cup win, Selanne contemplated retirement annually, but continued to play with the Ducks for another seven seasons. 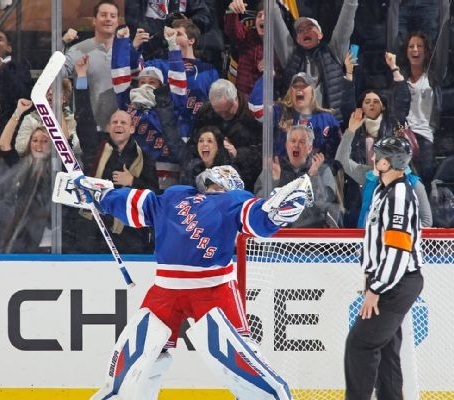 He finally decided that the 21st season of his career would be his last in the NHL. The 43-year old Selanne, a fan favorite in Anaheim, received a standing ovation and the first, second, and third star in his final regular season game against the Avalanche. The Ducks organization later announced that Selanne’s number 8 would be the first number retired by the franchise. Selanne’s illustrious career wasn’t limited to his NHL accomplishments. Internationally, the Finn played in six Olympic games and holds the records for most points scored in the Olympics. He is also the oldest player to medal in Olympic Ice Hockey after he picked up a bronze medal this past winter at age 43. Outside of hockey, Selanne is a collector of cars and has entered the World Rally Championship two times. He is also the owner of a Laguna Beach restaurant and the previous owner of four establishments in Finland. In his native country, he is the focus of a biographical film, “Sel8nne”, which looks at his life in and out of the NHL. And because Teemu Selanne is apparently capable of doing just about everything, he was a kindergarten teacher before he began his hockey career. Oh, and in case anyone was wondering, he was also voted Sexiest Man Alive in Finland by the magazine “Eeva.” 5. Way to go, Teemu. That’s the life of a legend. A pair of Original Six teams are ready to go toe-to-toe again. For years, the Montreal Canadiens were the kings of the National Hockey League. Between 1953 and 1979 they captured the Stanley Cup 16 times, including five straight years from 1956-1960 and four times in a row from 1976-1979. During that stretch, Montreal also made it to the finals three other three times, with losses to Detroit (twice) and Toronto. In all, the Canadiens have hoisted the Cup 24 times. Their fellow “Original Six” rivals, the Boston Bruins, won the Stanley Cup in 2011 and lost in the finals to Chicago, another of the Original Six, last year. The Cup win was the first for the Bruins since the 1971-1972 season and the sixth for the franchise. The two team have played in the same division for many years, but when the teams meet in the playoffs, emotions are amped up a notch or 200. It was no wonder that the Canadiens captured so many titles during the Original Six period that ran from 1942 until the NHL expansion in 1967, which doubled the size of the league. There weren’t too many American-born players in the NHL during that 25-year stretch, and Montreal grabbed one future Hall-of-Fame player after another with their territorial picks. Many of the Canadiens’ championships have included a playoff series win against Boston. As a matter of fact, after the Bruins won a five-game series in 1943, they lost to the Canadiens the next 18 times they met in the playoffs. The streak, which began in 1946, ended in 1988. Since then, things have actually shifted in the Bruins’ favor with seven wins in 11 series. Both teams have won just one Stanley Cup since the Bruins ended their skid in 1988, with Montreal entering this season with a 20-year drought since their last championship. This will be the 34th post-season meeting between the two teams and their first in three years. Both teams got to this point by being road warriors in round one. Though he may never have been known as “Mad Max”, Canadiens’ forward Max Pacioretty eliminated the Tampa Bay Lightning with a goal with 17 seconds left in regulation time in Game 4. The four-game sweep would not have been possible had it not been for the Canadiens’ two wins in Tampa Bay to open the series. It’s just too bad the Lightning no longer play in the “Thunderdome”. The Bolts had to play without their number-one goalie and Vezina Trophy finalist, Ben Bishop, for the entire series. Bishop underwent wrist surgery at the conclusion of the first-round series, in which Montreal dominated at both ends of the ice. Lightning goalie Anders Lindback was the only thing that kept Game 1 in Tampa from being a blowout, as the Canadiens out-shot the Lightning by a wide margin (44-25), in a 5-4 Montreal victory. Unlikely hero Dale Weise scored the game winner for Montreal in overtime. Canadiens’ goalie, and Olympic Gold Medalist, Carey Price outplayed Lindback and third-string goalie Kristers Gudlevskis in the entire series. The Canadiens never let up, and the Lightning were burnt to a crisp when Pacioretty got his game winner. Twenty-one year-old Brendan Gallagher led the Habs in both goals (3) and points (5). Boston took the President’s Trophy for most points (117) recorded in the NHL this season, but lost Game 1 on home ice. The Detroit Red Wings’ Pavel Datsyuk scored the game’s only goal with 3:01 left in regulation. Jimmy Howard stole the game from another Vezina Trophy finalist, Tuukka Rask, with 25 saves. 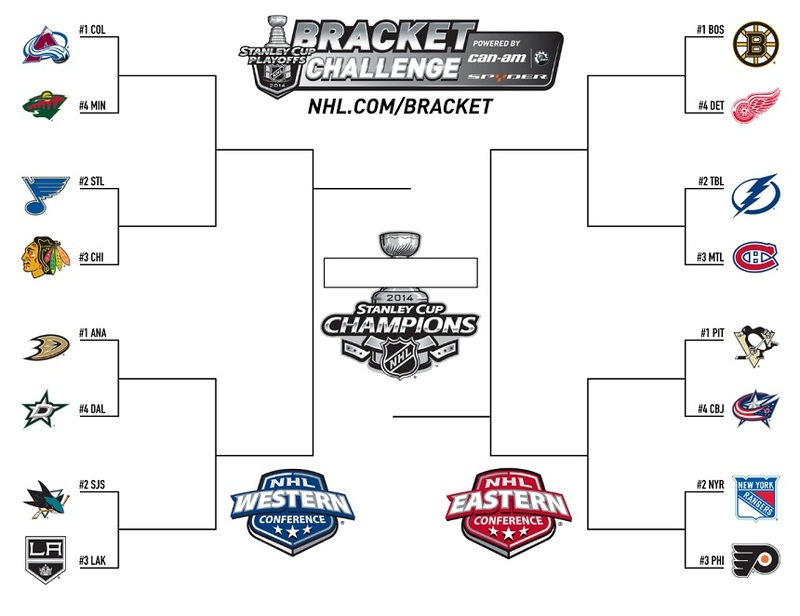 But Boston didn’t get to be the number-one seed in the entire NHL for no reason. They dominated the next four games, winning at home in Game 2, before going to the Motor City to finish off the Red Wings. Rask and company held Detroit to six goals for the entire series and got a shutout of their own, 3-0, in Game 2. Milan Lucic led a balanced Boston attack with three goals, while center Patrice Bergeron and defenseman Torey Krug led the squad with five points apiece. Finland’s Rask stopped 96.1% of the shots he faced to go along with a 1.16 goals-against-average (GAG). Montreal has won 24 of the previous 33 playoff series with Boston, and most recently has won six of the last seven meetings between the two in the regular season. But when the puck drops in round two, it will be difficult to imagine the Bruins not skating away with the series. Probably in six games. Listed below is the record for the first 33 times the Canadiens and Bruins clashed in the playoffs. Still just 26-years of age, Sidney Crosby has 105 points in 82 career playoff games. The Pittsburgh Penguins will showcase their offensive talent as they face the Columbus Blue Jackets in the National Hockey League playoffs. Led by Sidney Crosby, the Penguins were one of the top offensive teams in the league this season. Crosby racked up an NHL-best 104 points in 80 games to win the scoring title (nobody else even reached 90 points) and reached 100-plus points for the fifth time in his career. 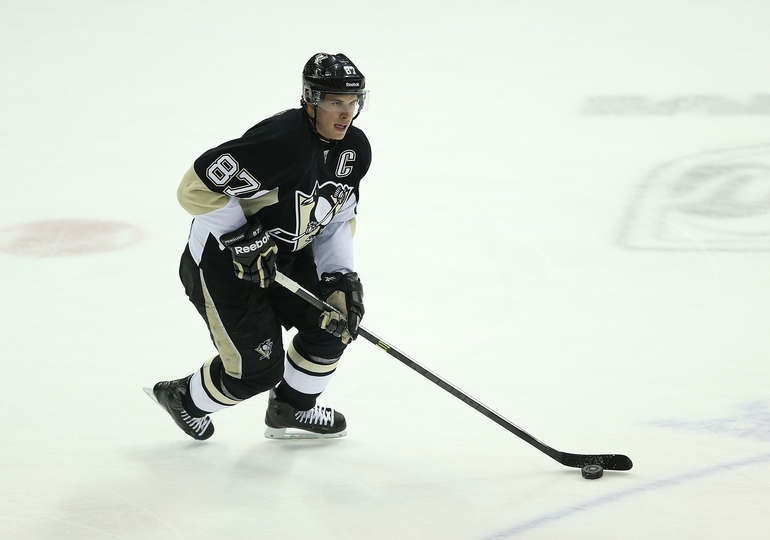 Crosby led the league in assists (68) and points while finishing third in faceoff wins. Despite losing Pascal Dupuis to a season-ending injury, Evgeni Malkin missing 22 games andKris Letang missing 10 weeks due to a stroke, the Penguins were still among league leaders in goals scored. Malkin notched 72 points in only 60 games, but may be unavailable for the start of the series. After Letang suffered a stroke, there were fears as to whether or not he would ever play again. Fortunately for Letang, he played the final games of the regular season without incident. Although Malkin may be unavailable for the start of the series, the Penguins still possess plenty of firepower up front. Chris Kunitz scored 35 goals and 68 points in 78 games this season. James Neal scored 27 goals and 61 points in 59 games and Jussi Jokinen scored 21 goals and 57 points in 81 games. During Malkin’s absence, Brandon Sutter showed the ability to chip in offensively. Letang – 22 points – was limited to 37 games this season, but Matt Niskanenpicked up the slack offensively, posting 10 goals and 46 points in 81 games. A healthy Letang will only add to the Penguins’ great firepower. Marc-Andre Fleury went 39-18-5 with a 2.37 GAA, .915 SV% and five shutouts this season. This is the fourth consecutive season in which he posted a sub-2.40 GAA. Fleury is one of the best goaltenders in the NHL when he is on top of his game. However, he suffered through postseason struggles in recent years. If the Penguins are to make a deep run, Fleury will have to be sharp. Blue Jackets fans had to be thrilled to finally witness the breakout year of Ryan Johansen. He led the team in goals (33) and points (63) in 82 games. Johansen is an excellent puck handler who is unafraid to drive to the net and he possesses a good shot. This long-awaited breakout may be just the beginning. In terms of talent, the Blue Jackets simply do not match up with the Penguins; however, if they are able to limit the production of the Crosby line and get an excellent performance from Johansen, they may have a chance. Defenseman James Wisniewski had another strong season for the Jackets, scoring 51 points in 75 games. Johansen and Wisniewski were the only Blue Jackets to post 50-plus points. Brandon Dubinsky and Cam Atkinson were the only others to reach 40-plus. Sergei Bobrovsky went 32-20-5 this season with a 2.38 GAA, .923 SV% and five shutouts. Bobrovsky has been nothing short of spectacular in his time with the Blue Jackets, and he must continue to play that well for his team to have any chance to upset the Penguins. General expectations for this series favor a victory by the Penguins. The reality is that the Blue Jackets do not possess the collective star power the Penguins have up front. This will likely be a very short series, unless the Blue Jackets can grind out 1-0 or 2-1 victories. The Blue Jackets will not be scoring four or five goals in a game unless Fleury struggles as he has in recent years.